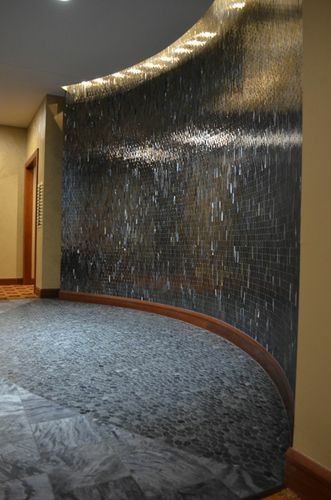 The project included finishes and furniture upgrades to the conference center of a boutique hotel. 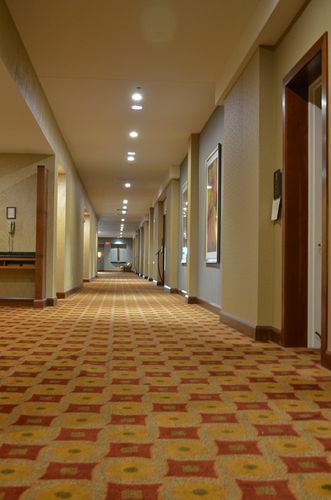 The colors in several custom-coordinated axminister carpets tie together the public corridors, break-out spaces and meeting rooms. 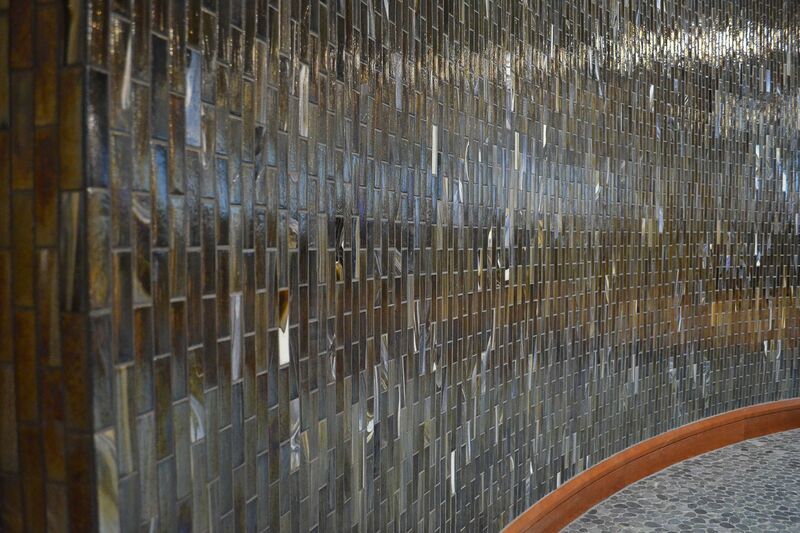 The focal point at the entrance to the conference center is a curved wall with iridescent glass tiles. 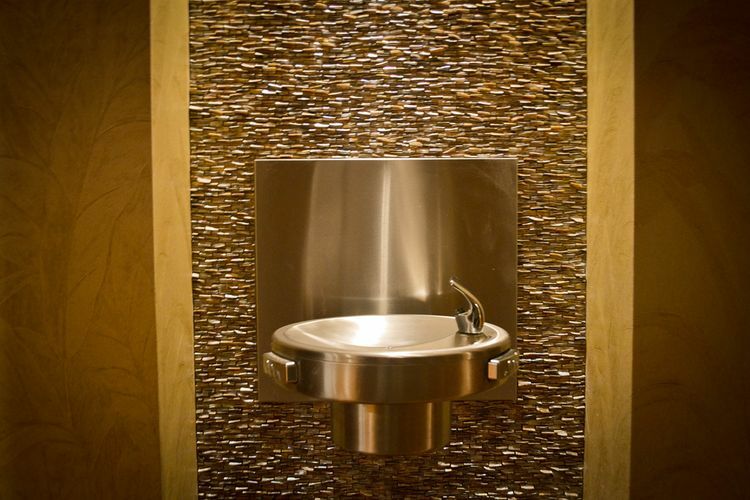 Tile accent panels add visual interest at the water fountain. The old pay-phone area now boasts additional seating in a break-out area near the buffet, the latter of which received upgrades that coordinate with new finishes in the public areas. 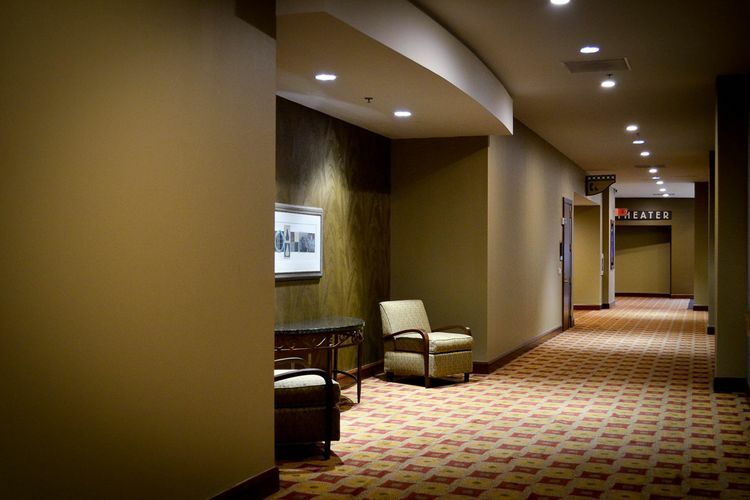 The other project included the finishes, lighting and furniture upgrades to two floors of approximately 100 rooms and four suites at a boutique hotel. The color scheme of soft warm gray neutrals are accented with pops of hot pink and lime green found in the upholstery fabrics and in the fabrics of soft goods. Oversized photos of local landmarks and landscapes add drama to to the rooms. Custom-designed amenities tables and refreshment armoires of dark walnut are features of each room.